In the streets of Penzance, a “melancholy sight”. A crowd of men - 40 or 50, it’s estimated – have come into town in hopes of securing legal remedy. Their grievance? A very simple and straightforward one: they have done their work, and not been paid. The men, workers from Owen Vean and Tregurtha, were turned away from their work on the 18th April, already owed several weeks’ pay. Now, they have used up all their credit with the local shops. The children have nothing to eat, and grown men – proud of their resilience and independence – have been reduced to petitioning in tears. Tregurtha Downs looking north towards the engine house 2006. The picture shows the engine house following its conversion into a luxury home. 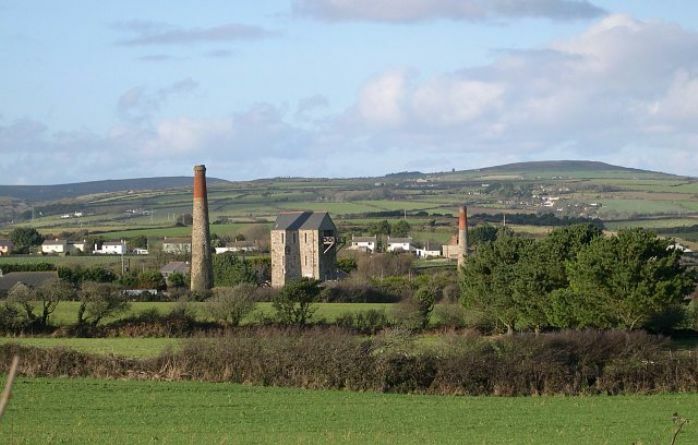 The two mines had only been amalgamated for two years, and were now on the market again. Plenty of other mines are no better placed. At North Levant, in the past 16 weeks, the loss has amounted to nearly £500. A meeting at East Pool has recently heard extravagant profit forecasts described as “a blight and a curse”. An outline of mining on Tregurtha Downs with output for Tregurtha Downs and Owen Vean can be found in H.G. Dines, The Metalliferous Mining region of South-West England, HMSO 1956, usually just referred to as Dines - you want volume one.